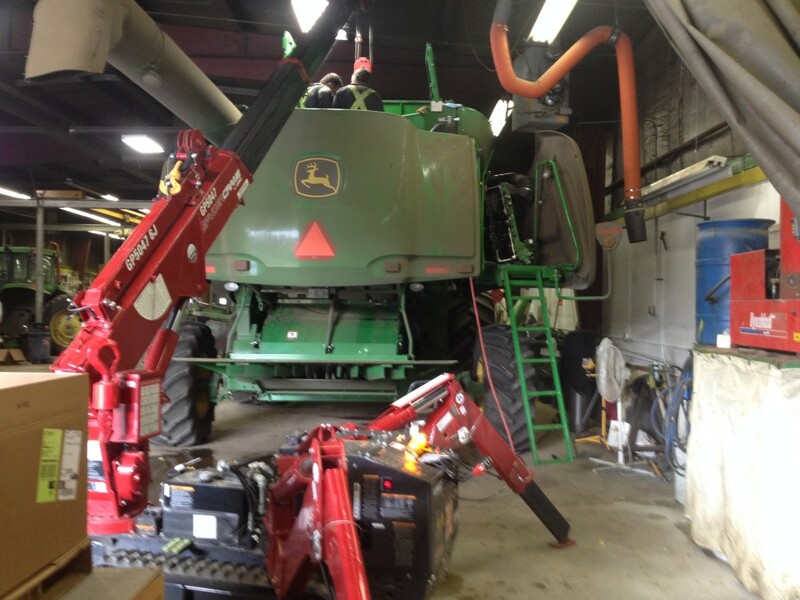 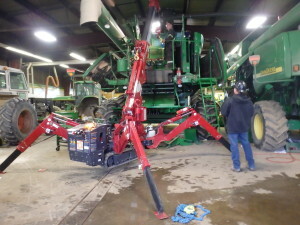 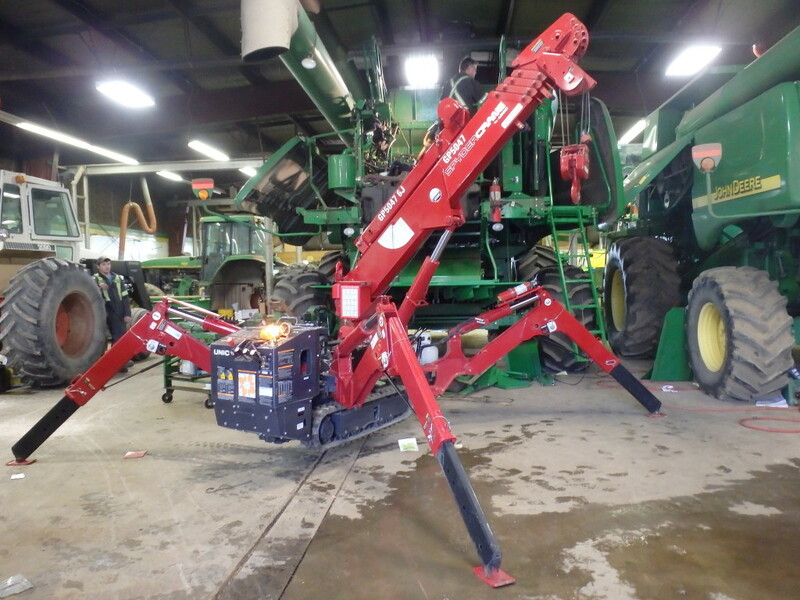 Earlier this year, the Spydercrane got into the local agricultural industry when were were able to help out our local John Deere dealer’s repair shop (Deerland). 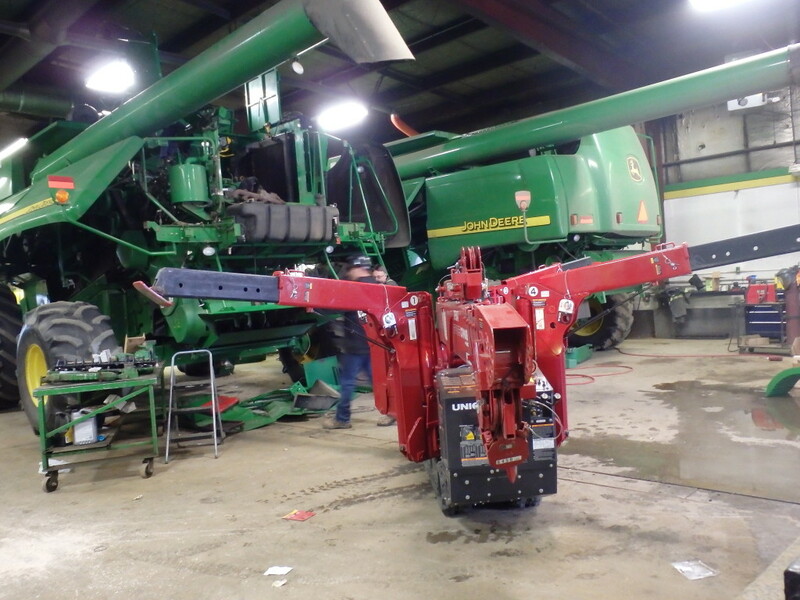 The increasingly larger size of today’s machinery has outgrown the shop, and the existing overhead crane doesn’t have enough room for the current combines. We set up a Spydercrane mini-crane in our local John Deere dealers shop. …and has far more maneuverability than the overhead crane they had been using. 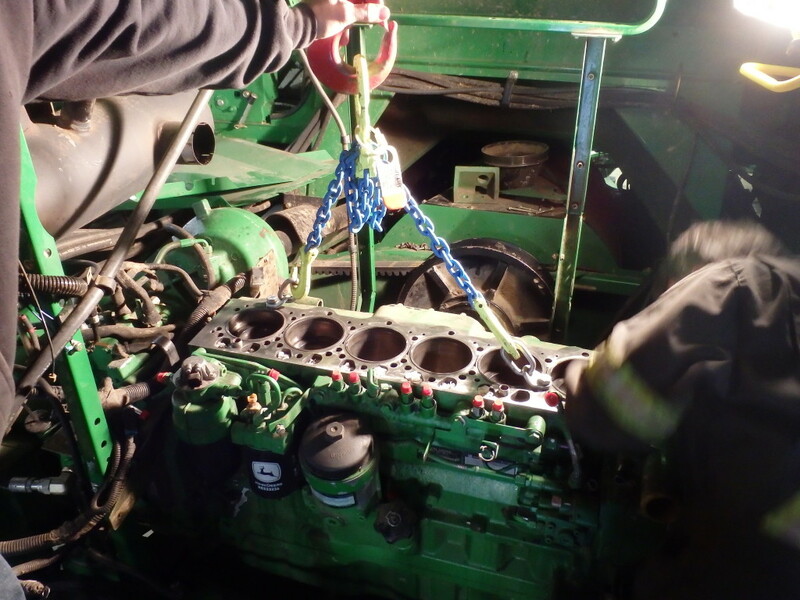 After we did a demo for the Service Manager, we began receiving calls to assist in removing and reinstalling engine heads and complete engines. These Spydercranes are also perfect for field repairs, if the machine can’t come to the shop, thus eliminating the need for expensive heaving trucking/towing. 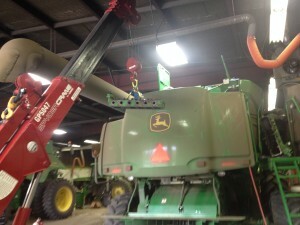 The Spydercrane gets in where the overhead crane cannot. Removing and reinstalling engine heads. 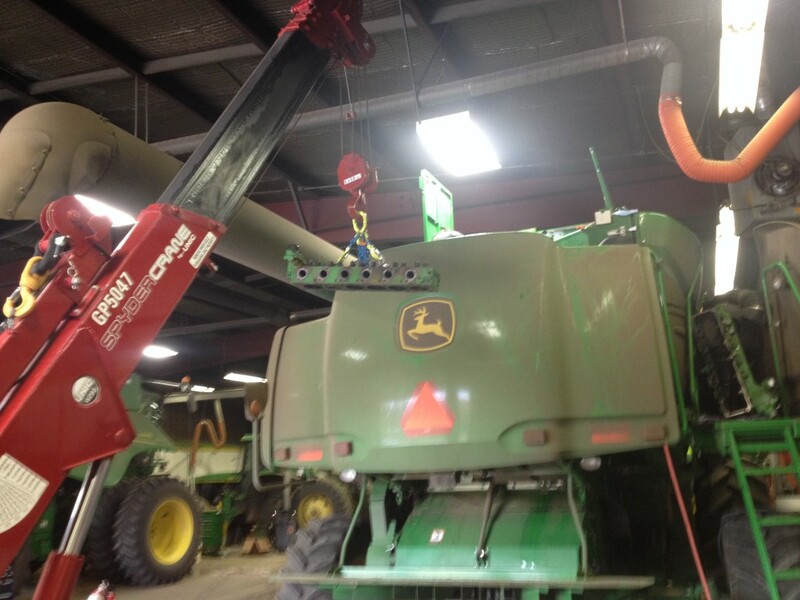 The Spydercrane makes relatively easy work of equipment servicing when you don’t have a lot of overhead room.